Watch the shocking moment a man launched an unprovoked attack against a police officer while in custody. Mubarik Cadani, 31, was arrested for assault on Tuesday, 21 August and taken to Hounslow Police Station. While in custody, Cadani lashed out and hit PC McGahan’s face with his elbow, leaving PC McGahan with a broken nose. PC McGahan subsequently missed two weeks of work due to the injury. A man who seriously assaulted a police officer while in custody has been jailed. 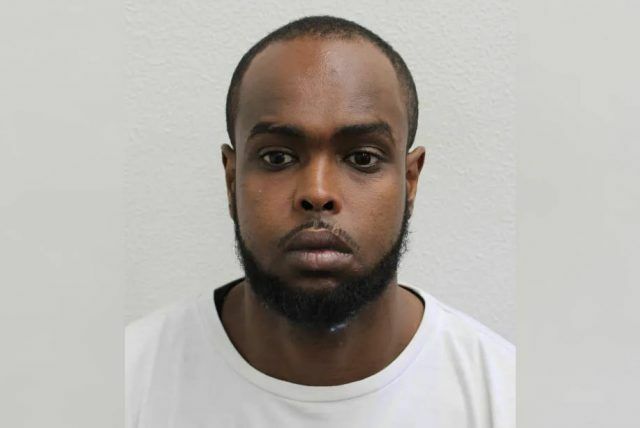 Mubarik Cadani, 31, (31.03.87) of Sparrow Farm Drive, Hounslow, was sentenced to 20 months imprisonment at Isleworth Crown Court on Tuesday, 11 December after he pleaded guilty to causing actual bodily harm. The court heard how on Tuesday, 21 August, Mubarik Cadani was arrested for an assault and was taken to Hounslow Police Station. While in custody, Cadani hit PC James McGahan’s face with his elbow, causing a broken nose. PC McGahan subsequently missed two weeks of work due to the injury. CCTV footage of the attack shows how Cadani launched the attack, completely unprovoked, as he stood at the custody counter. Investigating Officer Detective Constable David Payne from the Metropolitan Police West Area Safeguarding team said: “This is a sickening, vicious assault on a police officer who was simply doing his job, working to protect vulnerable people. “We have released footage of the assault to show the levels of violence police officers are faced with on a daily basis. “We are happy with the sentence given by the judge today which reflect that assaults against any public service workers are unacceptable and will not be tolerated”.